Type 2 Diabetes happens because you don’t make enough insulin or your body can't use insulin properly. Type 2 Diabetes usually happens in middle-aged adults, but Type 2 Diabetes can happen at any age, even in young children! You have a bigger risk of getting Type 2 Diabetes if you're overweight and don’t get much daily exercise. If you have these symptoms, talk to your doctor right away. The path to Type 2 Diabetes starts with a metabolic problem called Insulin Resistance. With Insulin Resistance, you still have blood sugar control, but you make way more insulin than you really need because your body doesn't use it very well. Insulin Resistance can continue for a long time, even years in some cases! But for most people, their insulin resistance quickly becomes progressively worse and they start to experience blood sugar control problems...this next stage is called Prediabetes. Once your blood sugar control becomes quite severe, you progress to Type 2 Diabetes. You Can Reverse Type 2 Diabetes! 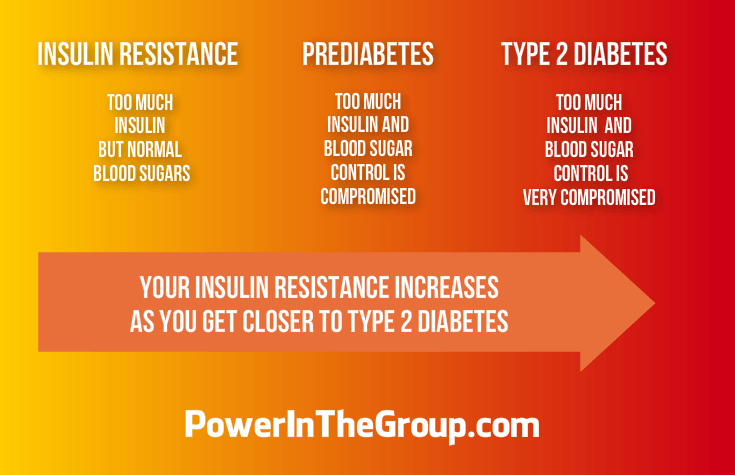 You can reverse Insulin Resistance, Prediabetes and EVEN Type 2 Diabetes! To get started with a healthy diet today, download the 95-5 Wellness Solution NOW! Most doctors test all pregnant moms for Gestational Diabetes. If you're pregnant and not sure if you've been tested for Gestational Diabetes...ask to be tested. Gestational Diabetes happens when a woman gets very high blood sugars during her pregnancy. Gestational Diabetes poses the risk of complications to both the mom and baby during AND after the pregnancy. ...but about 10% of women with Gestational Diabetes stay being Diabetic after the pregnancy and are diagnosed with Type 2 Diabetes. Can A Gestational Diabetic Mom Have A Normal Pregnancy in The Future? Yes! The best way to make this happen is to eat a healthy diet high in fiber, lose excess weight after your baby is born, and get daily exercise BEFORE you get pregnant again. Then once you get pregnant, continue eating a healthy diet high in fiber and getting daily exercise. Is Pre-Gestational Diabetes the same as Gestational Diabetes? No. Pre-Gestational Diabetes is when you already have Diabetes and then get pregnant. Pre-Gestational Diabetes is considered a high risk pregnancy. Type 1 Diabetes is an autoimmune disease that causes very high blood sugar. "Autoimmune" means the body attacks itself and kills important cells. In Type 1 Diabetes, the insulin cells in the pancreas are mostly destroyed by the autoimmune reaction. Because the pancreas can no longer make insulin, Type 1 Diabetics must use insulin injections to control their high blood sugar. Without daily insulin injections, Type 1 Diabetics will die. Type 1 Diabetes almost always develops in childhood or early adulthood, but it can develop at any age. Type 1 Diabetes is diagnosed from a Diabetes-related Autoantibodies test. LADA is sometimes called Type 1.5 Diabetes and usually happens to adults past the age of 30. Like Type 1 Diabetes, LADA is also an autoimmune disease and the insulin cells of the pancreas are destroyed. Unlike Type 1 Diabetes, in which you need insulin therapy, LADA progresses very slowly, so you likely won’t need insulin for many years. LADA is usually diagnosed based on testing C-peptide and GAD antibodies levels. Males seem to get LADA more than females, and a significant family history of Diabetes is usually present. It’s common that LADA is first misdiagnosed as Prediabetes or Type 2 Diabetes. If you're lean, physically active and have recently lost a lot of weight, you might actually have LADA. If you've been diagnosed with Prediabetes or Type 2 Diabetes, and your diet and lifestyle changes and/or meds aren’t working...talk to your doctor about LADA. MODY is a type of diabetes that happens because of a mutation in a single gene. Though MODY can be diagnosed at any age, MODY most commonly gets diagnosed during adolescence. MODY is more likely if the person is not obese and there is a strong family history of Diabetes in multiple generations (grandparent >> parent >> child all have Diabetes). MODY is always diagnosed based on a gene test. Diet and lifestyle therapy is a very effective strategy for MODY. MODY cannot be reversed and you might need insulin therapy as the disease progresses (some people never need insulin). It’s common that MODY is first misdiagnosed as Prediabetes or Type 2 Diabetes. ...talk to your doctor about MODY. I hope you've enjoyed learning about Type 2 Diabetes, Gestational Diabetes, Type 1 Diabetes, LADA and MODY in today's blog post: Type of Diabetes. 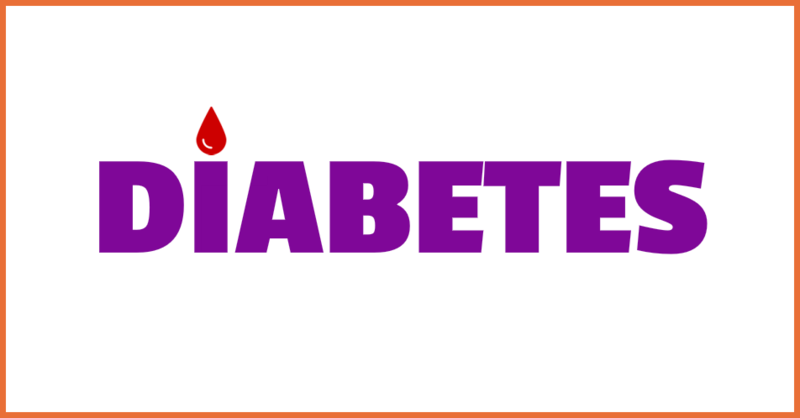 Do you think you might have Prediabetes or Type 2 Diabetes? Read this. Do you already have Prediabetes and want to join other ladies who are working at getting healthy again? Then join our FREE (Ladies only) Prediabetes and Insulin Resistance Facebook Group.